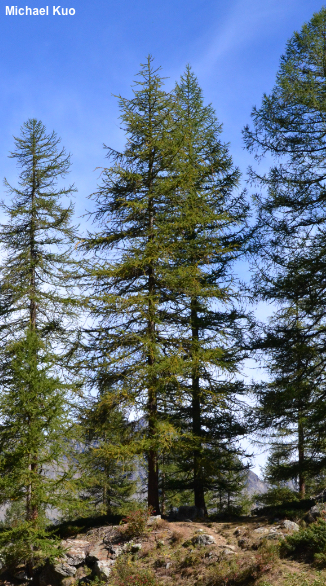 Alpine and Carpathian conifer with deciduous, inch-long needles that arise in whorls; cones about an inch long. Habitat: In montane forests from about 4600 feet to about 7000 feet; mixed with spruces and firs at lower elevations, but often in pure stands at higher elevations; distributed in the Alps and the Carpathian Mountains. In northeastern North America it is sometimes planted as an ornamental, and has been reported as an occasional escapee. Stature: To 140 feet tall and 3 feet wide; with a conic crown that broadens with maturity; branches often somewhat uplifted. 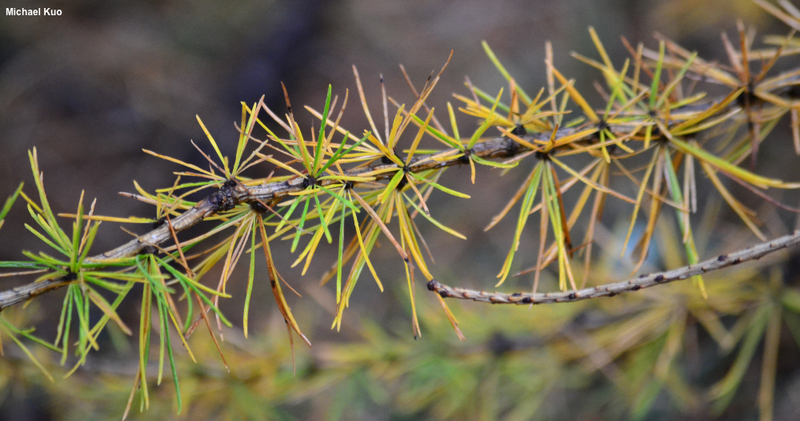 Needles: 1-1.5 inches long; very thin; in clusters of 8-15, emerging in whorls; yellow-green, turning yellow to orange and falling every year. 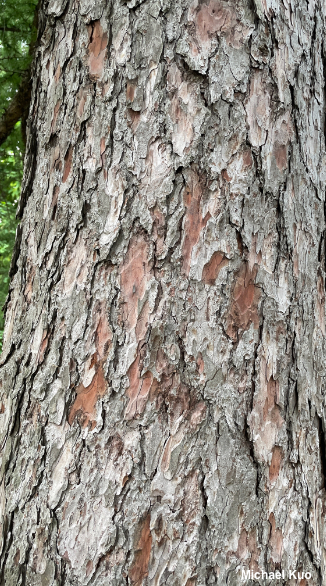 Bark: Thick; deep grayish brown and reddish brown; smooth when young, becoming deeply furrowed with age. Cones: 1-1.5 inches long; egg-shaped; brown; upright on branches. 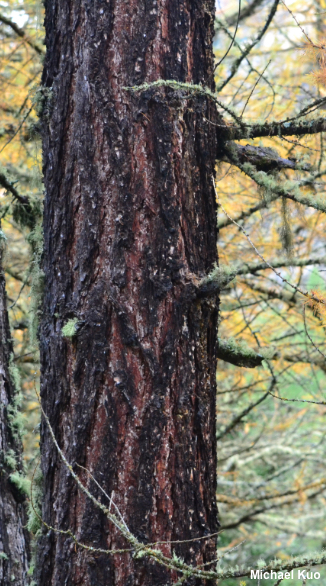 Lactarius porninsis is exclusively mycorrhizal with European larch.